Running out of power on set for a photographer or filmmaker isn’t an option in today’s time-sensitive and demanding world. The ONsite D-Tap to AC Power Supply provides a robust and interchangeable power solution that keeps your gear powered and ready in any shooting environment. A first of its kind product, the D-Tap to AC Power Supply pairs with any battery with a D-Tap connector (including V-Mount and Gold Mount Batteries) to create two AC outputs and four powered USB ports. The ONsite D-Tap to AC Power Supply and ONsite D-Tap Battery with V-Mount seamlessly integrates with the Tether Table Aero System with the help of the new ONsite Aero V-Mount. 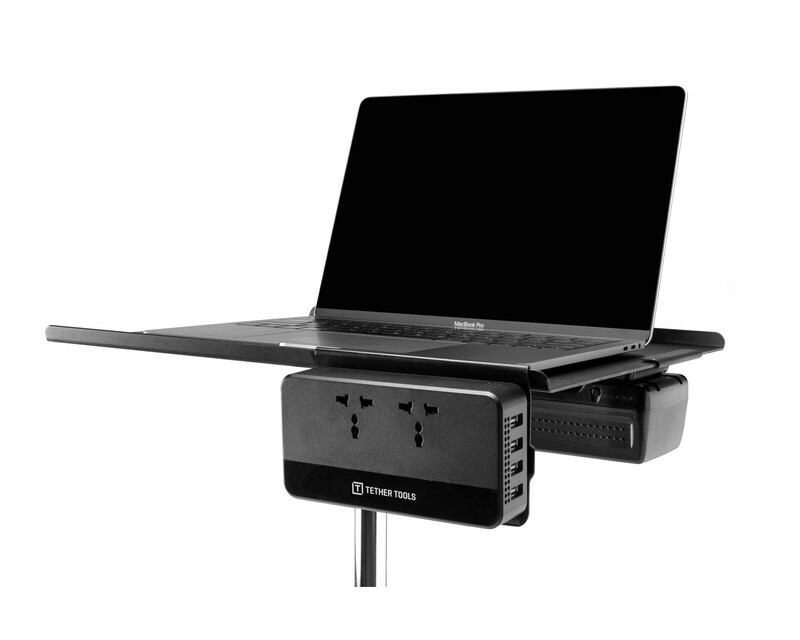 The streamlined mounting solution secures the power solution to the Tether Table Aero, powering a laptop during long shoots while keeping a safe and secure work environment.